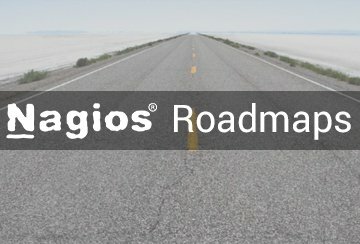 The Nagios product roadmaps give information on upcoming releases for our commercial and open source Nagios solutions. Roadmaps may change. These are the outlines of what is going to be coming in new releases and are not guaranteed changes. As much as we would like to get everything into new releases, there will likely be times when a feature will be pushed off until a different release. To make suggestions for feature requests, or to submit a bug report, please reach out to us on the support forums. While we cannot add all feature requests, we can at least pass them off to the Developers for review. Back in 2015, Nagios adopted a version of the semantic versioning system – using version numbers such as 1.0.0 that correlate to major.minor.patch values. Typically, we will release our products with versions matching this format, giving you insight into the actual changes made and giving you an idea on how those changes could impact your system. We also recommend using a development environment to test out new major and minor releases to make sure your system’s integration and setup continues to function normally. Major versions (x.0.0) include large changes that could impact backwards compatibility with systems currently in place that talk with the API or backend. Minor versions (1.x.0) will only add new features that do not drastically change how the program works from an API or backend standpoint. Patch versions (1.0.x) only introduce bug and security fixes, no features are added. These are released quite frequently, depending on severity of the bugs fixed. This change was made to increase the stability of the patch release versions – and not introduce new bugs that need to be taken care of. We will be releasing a new 5.6.x version of XI about every 3-6 weeks depending on the importance and severity of bug fixes, security fixes, and stability fixes. These are recommended updates that should have a minimal impact on the XI system, besides fixing issues in the current release. There will be incremental releases 4.4.x every 1-2 months that will primarily contain bug fixes. Like our other products, we will release bug fix and security updates when applicable. Typically these will be between 4-8 weeks as needed, depending on the severity of the bugs that are affecting the software. Like our other products, we will release bug fix and security updates when applicable. Typically these will be between 6-10 weeks for Nagios Network Analyzer due to the lower amount of reported bugs. The time-frame may change depending on new releases of major and minor versions. We will be releasing a new 4.1.x version of Fusion about every 4-8 weeks depending on the importance and severity of bug and security fixes. Due to the development of Nagios Fusion 4 there will be no maintenance releases for older versions of Nagios Fusion. There will be further incremental maintenance releases of 2.2.x every 1-2 months that will primarily contain bug fixes.